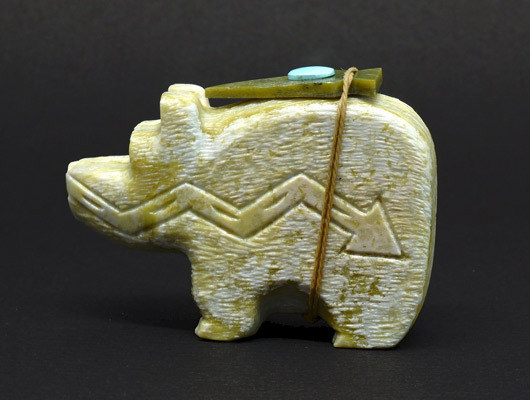 Zuni artist Jose Espino has carved this bear from a pale green serpentine stone. 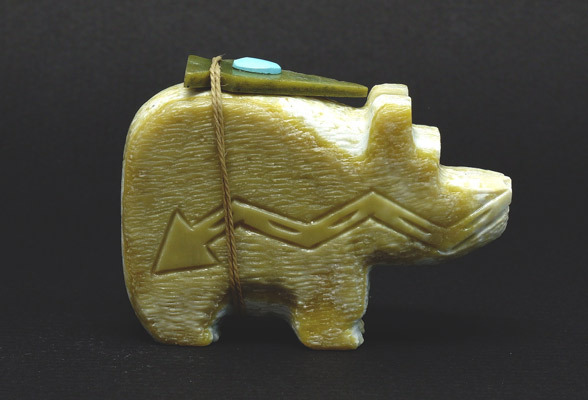 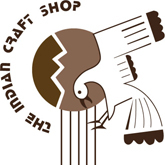 Espino has carved a heartline into both sides of the bear, and tied an arrowhead and turquoise bundle around its back. The bear is known for strength and/or healing abilities and is carved in a great variety of styles and materials. 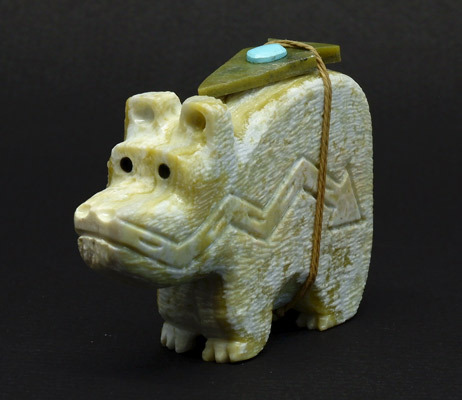 While the white bear is particularly known for its healing and curative abilities and the hump-backed bear is often referred to as a 'medicine bear', all bears are known for healing and strength. 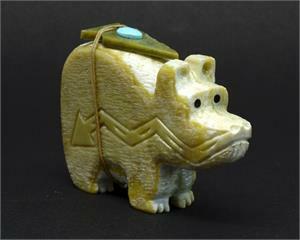 Height: 2", Length: 3", Width: 0.75"